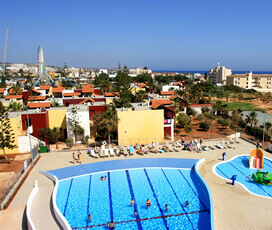 "Expect great beaches, shopping and nightlife in Ayia Napa - there is something for everyone!" What was once a small fishing harbour resort surrounded by a few houses has fast become a popular resort, particularly with families and young people. 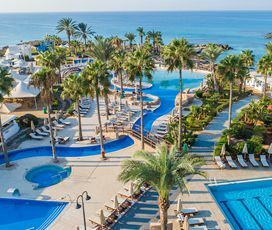 Ayia Napa’s shimmering clear blue waters and white sandy beaches provide an exceptional setting for beach lovers, and the resort offers plenty of exciting activities to complete any family holiday. The town centre is a late-night draw for young clubbers, and it can get rather lively. 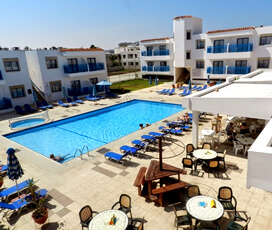 However, most Ayia Napa properties we offer in our brochure are situated well away from all the revelry, and offer a relaxing holiday environment to those who desire it. Just beyond Ayia Napa is Cape Greco – an area of extreme beauty, with secluded coves, ideal for those who enjoy exploring. Diving and snorkelling are highly popular activities in this area, perhaps due to a number of ships being foundered just off Cape Greco over the past centuries. Ayia Napa is also a great place for those interested in food and drink, featuring a selection of cuisines that encompasses both local and international flavours. During the summer months there are a number of cultural festivals that run along less formal events, which run during the evenings. It is an amazing town to enjoy the versatile culture, the town’s historical sites, its golden sandy beaches and its gastronomy. 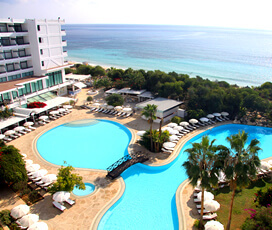 All of which ensures that Ayia Napa is one of the most beautiful destinations in Cyprus. 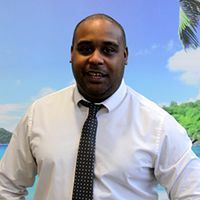 Ayia Napa is a coastal town in the southeast of Cyprus, it is famous for its pristine sandy beaches and its calm sapphire waters and is incredibly popular with tourists. It provides easy access to many interesting landmarks, including Cape Greco National Park, making it ideal for people who love to hike and explore nature. 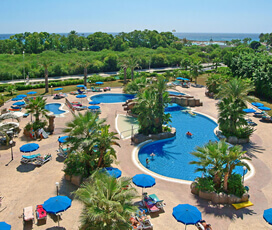 The coastal resort of Protaras is just 12.2 km away from it, ensuring that there is plenty for everyone to do. 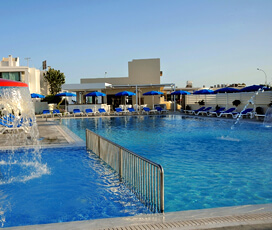 The closest airport to Ayia Napa is Larnaca International Airport, which is about 57.5 km away. 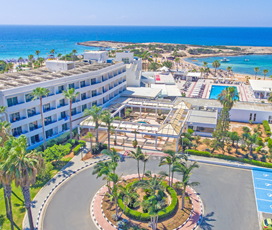 Ayia Napa is an excellent base from which to explore the eastern parts of Cyprus, though to explore the Western parts of the island car hire is necessary. Known as a quiet village for the majority of its history, it was named after the Venetian monastery, which shares its name. This rapidly changed after 1974, when the political situation in the other part of Cyprus caused a rapid growth in its population. This meant that it grew and fast gained a reputation as a tourist hotspot for people of all ages. An international hotspot, visitors will find plenty of interesting fusions of Cypriot and International cuisine, including Asian, Italian and a whole host of others. It also offers all the Cypriot classics that you would expect, including delicious kebabs, light salads and fresh seafood. Visitors will also find plenty of fine local wines that are generally produced in the Troodos region. The town provides a vast range of family friendly activities, which ensures that everyone will have a fantastic time during their family holiday, including going to: WaterWorld, a waterpark located at one of Ayia Napa’s beaches, that offers aquatic fun for people of all ages; The Moonshine Ranch close to Cape Greco, which offers horse and pony riding for people of all ages; Palliastso adventure park, in Ayia Napa, which provides karting, a 5D-cinema and rollercoasters; The Thalassa museum, that teaches children about archaeology and includes and exact replica of the sunken Kyrenia ship; and the Black Pearl pirate ship, which leaves Ayia Napa harbour each day and provides pirate themed entertainment for the whole family. Ayia Napa and Protaras have a large selection of events and festivals for visitors to enjoy, including: ‘Kataklysmos’ also known as the flood festival, it is held 50 days after Easter at Ayia Napa Harbour and involves a host of aquatic activities, including games and competitions. In the evening, there is traditional music and dancing at the Ayia Napa Festival, which takes place in the final week of September and features traditional Cypriot dancing and theatrical performances, along with a local market that offers locally produced delicacies. The Ayia Napa Cultural winter lasts between November and April and involves many different kinds of musical performances by both local and international acts; and the Medieval Festival, which aims to take you back to a lost time with plays, concerts and dance shows. The is no shortage of tours and attractions that are sure to appeal to every visitor. Foremost among these are the many beautiful beaches, including the nearby Fig Tree Bay in Protaras, rated as Europe’s third best beach in 2011. This coupled with the series of sea caves that are located along its coast make it a beach destination that everyone will want to bathe in. It is also a great place for nature lovers due to its proximity to Cape Greco National Forest, which covers 385 hectares of land and is home to an array of wildlife and plant life. 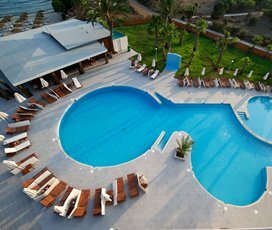 The vibrant town of Ayia Napa is known for its evening entertainment, with more than 80 bars and a wide selection of clubs, that provide a rich variety of evening entertainment, which is sure to appeal to all tastes. 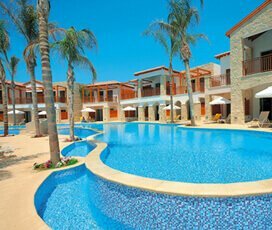 This makes it ideal for families, couples and single travellers, who want to have an unforgettable holiday in the Cypriot sun.